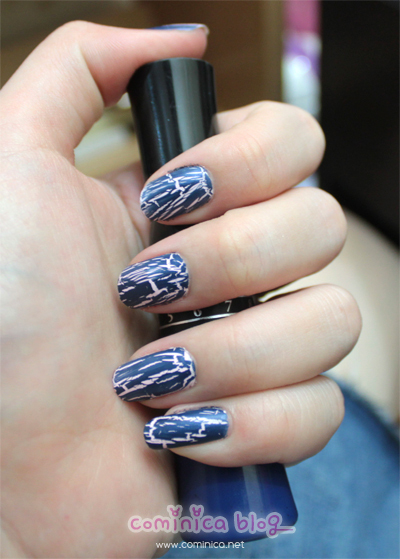 A simple swatches of this crack nail polish. ✩ Stay on nail for a long time. ✩ A little hard to make a nice random crack. ✩ The shimmer doesn't show up at all. Wow! I love it! The cracking is so beautiful! 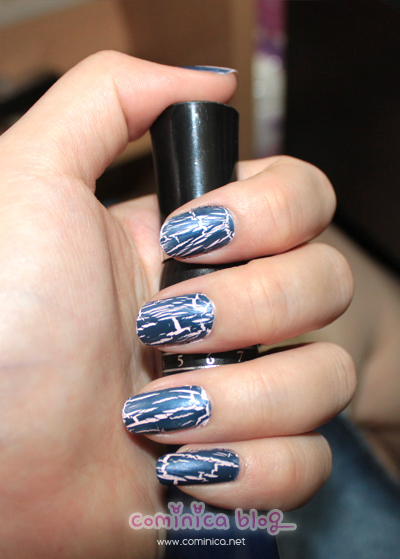 I can't decide whether I love cracked polish or can't stand it. I've tried so many and none of them really seem to live up to their promises, though OPI's cracked polish is somewhat decent. Oh they turned out nice! OOOOOH! I like the way it cracks! This is lovely ;) I see this type of nail (polish) looks everywhere! its so pretty! i love it!